Teak oval shower bench is a perfect addition to your sauna room or poolside.Teak oval shower bench is made from top grade wood. 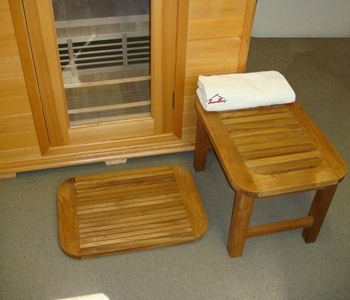 It is perfect for sauna rooms. Good for spas, saunas, outdoors and pool side. It can withstand up-to 250 pounds.